Warmer weather is the perfect time for denim skirts and we think every me-made wardrobe should include an easy-to-wear skirt that can be quickly transitioned from day to night, and even summer to fall when paired with a bold pair of tights. 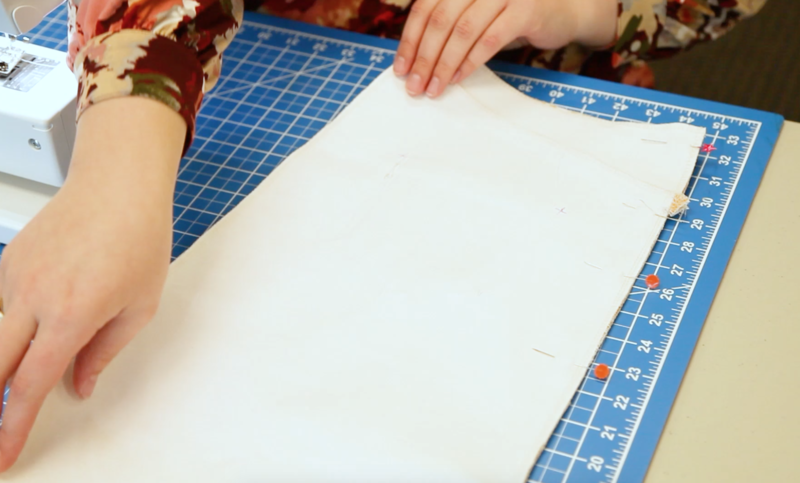 Using our Dogwood Denim™, we’ll take you through all the steps you need for creating a skirt in the video below using our free PDF pattern (available in sizes 0-18). If you prefer a shorter or longer length, we’ve included two additional versions just for you! Find the full instructions and download your pattern below. *All seams should be sewn at ⅝” unless otherwise instructed. 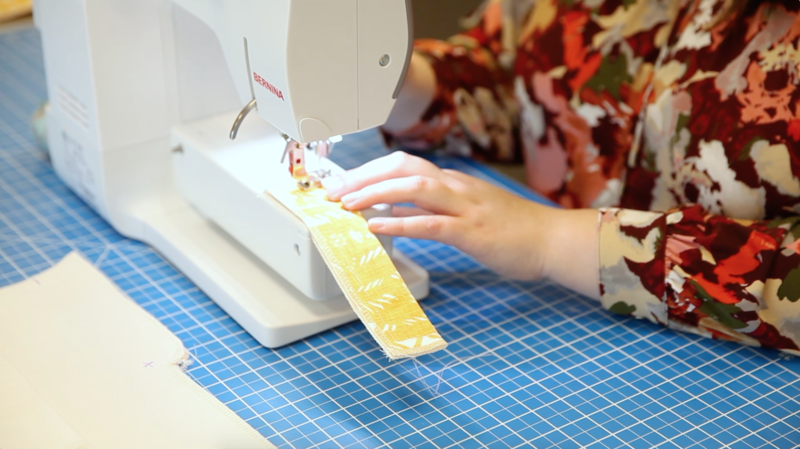 Before you get started, we recommend taking a peek at Tasha Moss’s top tips for sewing with heavyweight fabric since you’ll be working with a thicker fabric. The tip on using a “hump jumper” will be a game-changer! 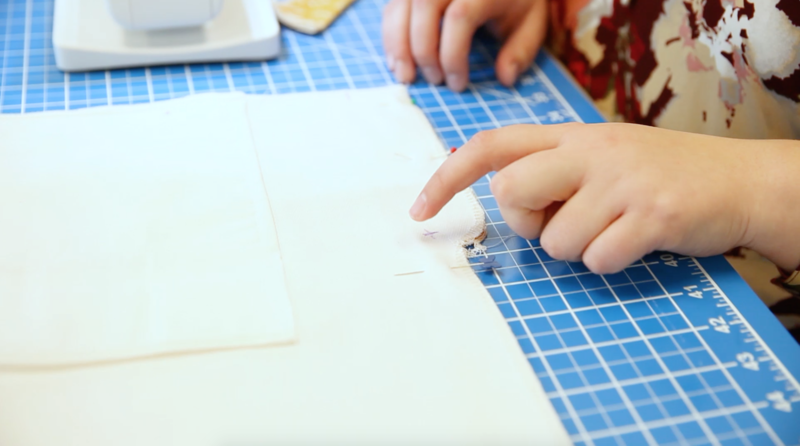 Trace your pattern pieces onto your fabric and cut so that you have two of each pattern piece except for the fly shield, of which you only need one. 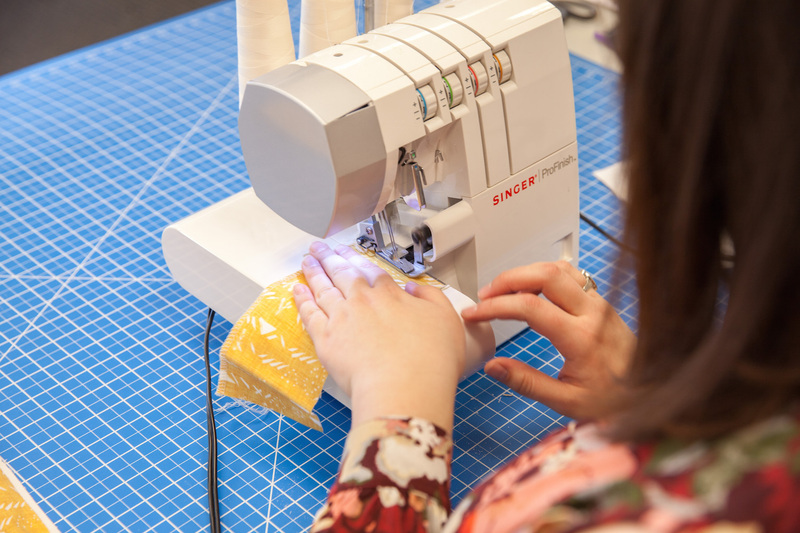 Finish the raw edges of your pattern pieces with a serger or zigzag stitch. 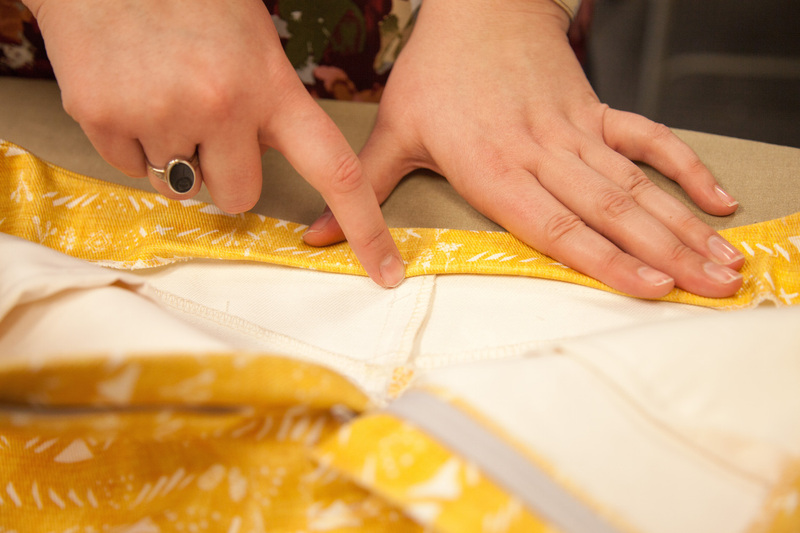 Start assembling by sewing the yoke to the back skirt, matching the notches. Press seams up towards the yoke. 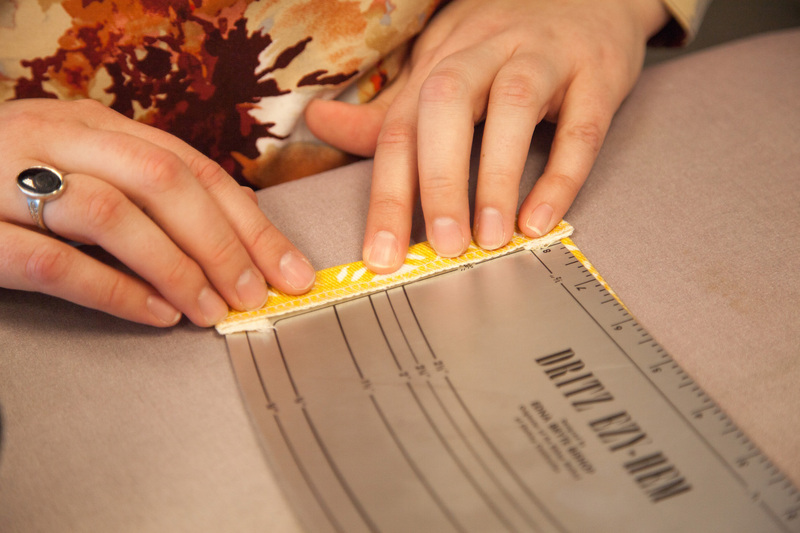 *For a welt seam finish: On the right side along the seams, top-stitch through the seam allowance just beside the seam. 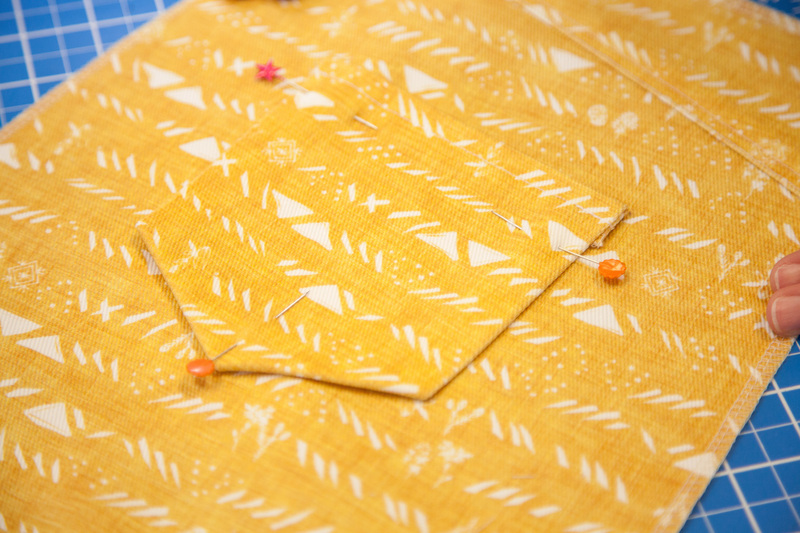 Then, top stitch through the seam allowance ¼” from the seam. 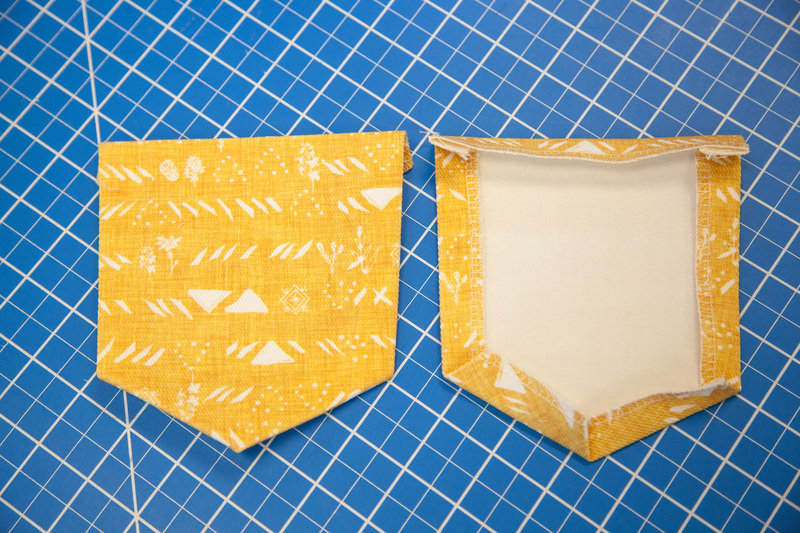 Assemble the pockets by attaching the wrong side of the front pocket backing pieces to the right sides of the front pocket lining pieces, matching up the circles. Topstitch the front pocket backing to the front pocket lining along the bottom and inner edges. 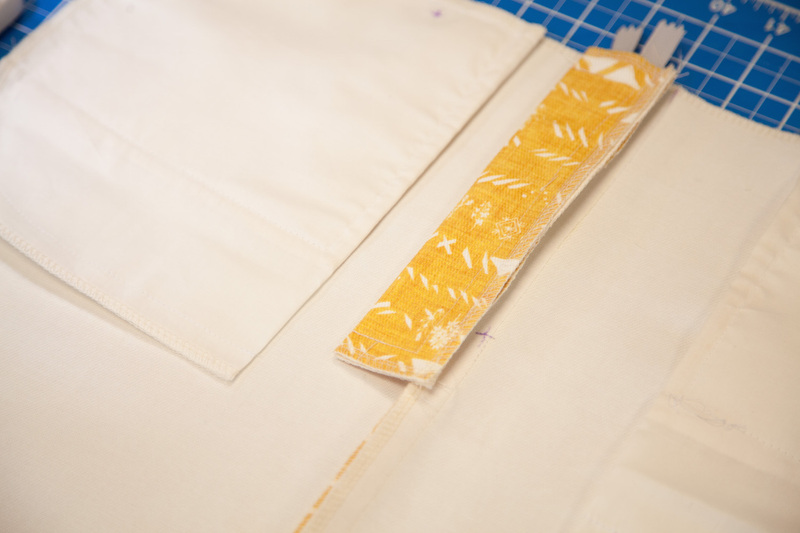 Match the right sides of the front pocket lining to the front skirt at the curved edge and sew. Trim the seam allowance and clip along the curve. Turn the front pocket lining to the inside of the front skirt. 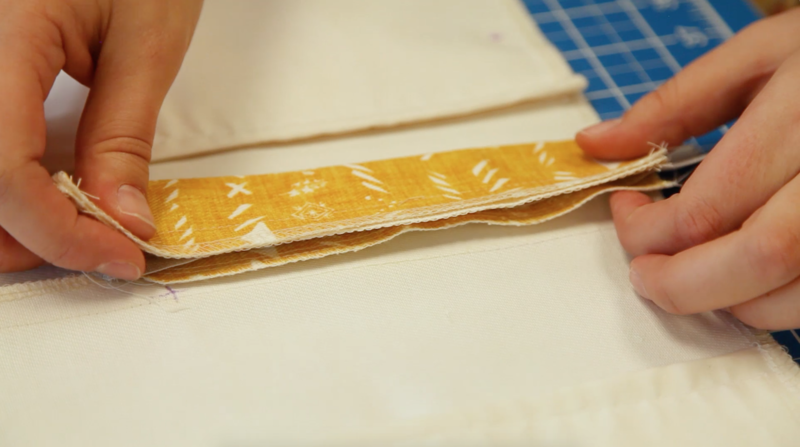 Press the curved edge and topstitch through all layers just inside the edge. Then, topstitch again ½” from the curved edge. 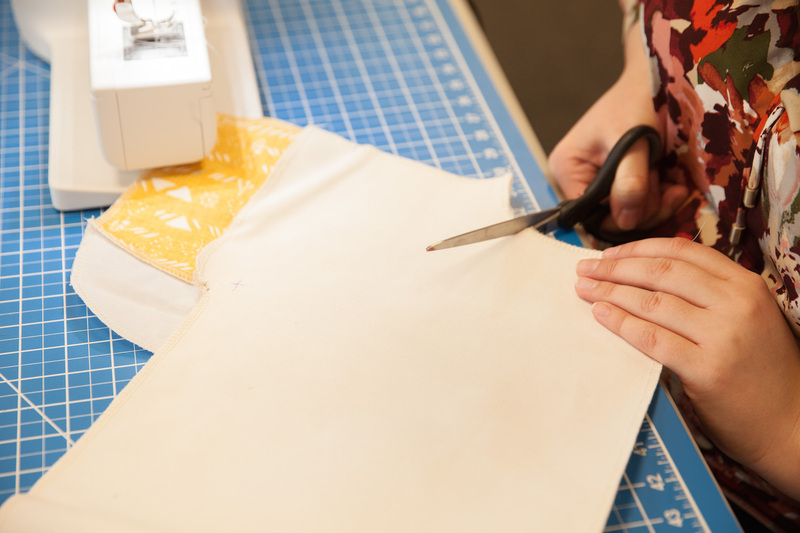 Fold the front pocket lining along the fold line and match the bottom curved edge. Sewing only the front pocket lining piece, sew the bottom curved edge. Start by folding the fly shield down the middle, wrong sides together, and stitching around all three raw edges. 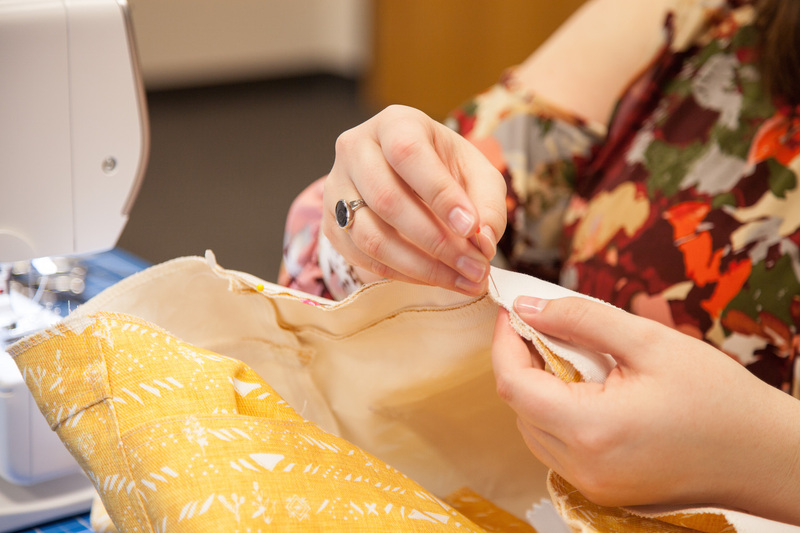 With right sides facing, place the front skirt pieces together and stitch from the hem up to the large circle. 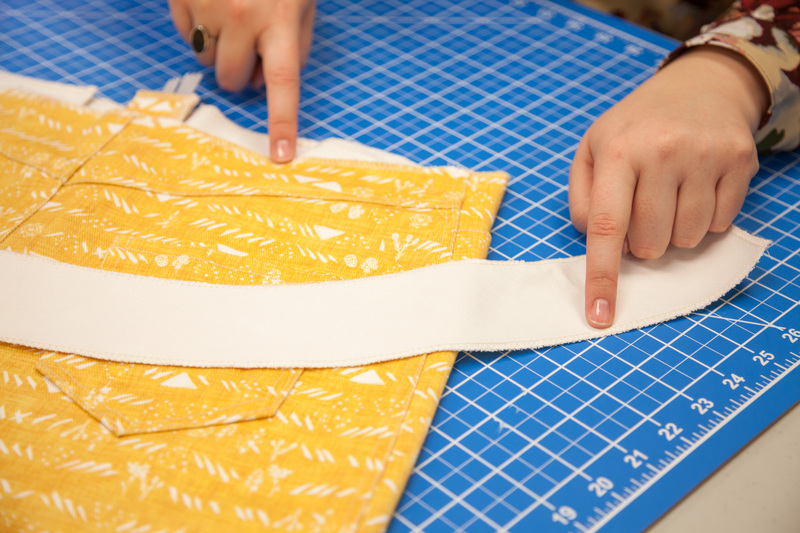 Clip the seam allowance to—but not through—this point. Baste stitch from the large circle to the waist notch, parallel to the fly extension curve. Open the front skirt pieces and lay right side down. 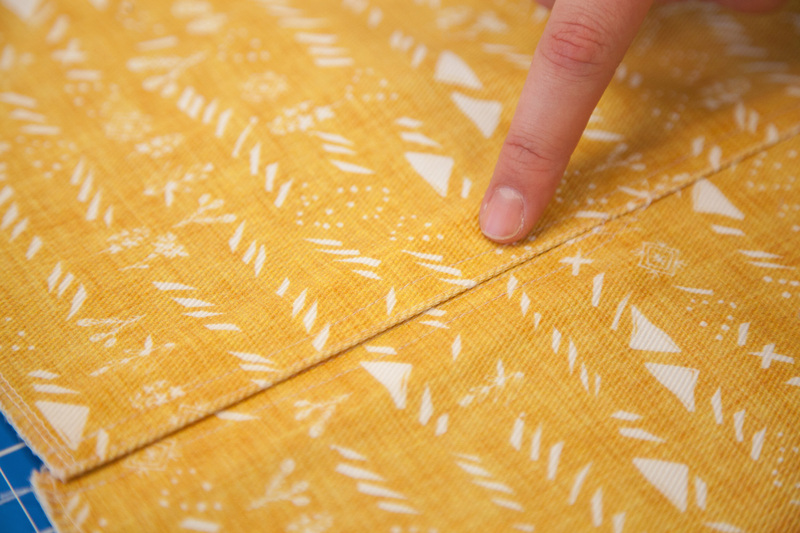 Press the seam allowance and fly extensions towards the left side. Fold the edge of the right fly extension over ⅝” and press. Place the zipper right side down, and align the teeth with the fold line on the right fly extension. Stitch the zipper to the right fly extension, taking care not to stitch through the front skirt (fold extension away to stitch here only). Lay the right fly extension back down, and place the zipper teeth along the left fly extension. Stitch the zipper to the left fly extension, taking care not to stitch through the front skirt. Match the fly shield to the right fly extension along the raw edges. Stitch the fly shield to the right fly extension along the zipper stitch line, taking care not to stitch through the front skirt. Fold the fly shield away from the left fly extension. Baste the left fly extension to the front skirt. On the right side of the fabric, use chalk to pencil a J-stitch – A J Stitch is a j-shaped stitching along the fly, as seen on most pants. Making sure that the Fly Shield is still folded out of the way, topstitch along the J-stitch line from the waistline to the center seam. 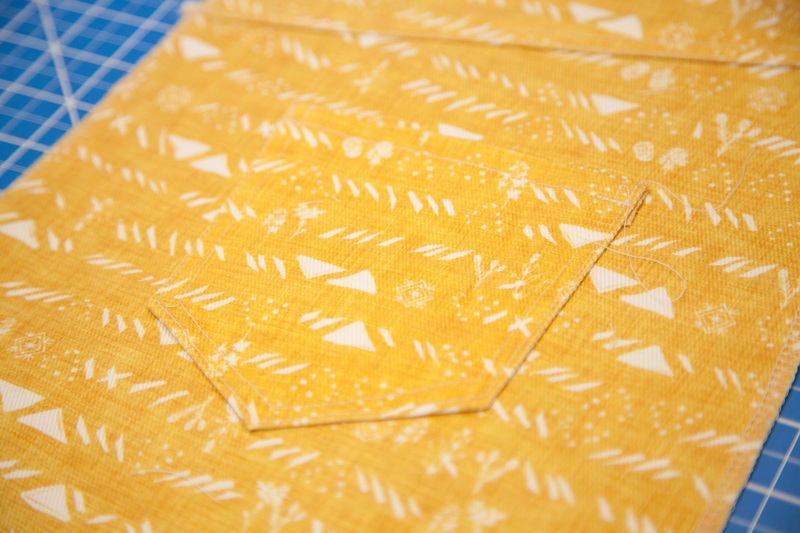 Turn the top edge of the back pocket in toward the wrong side of fabric by ⅝” and press. 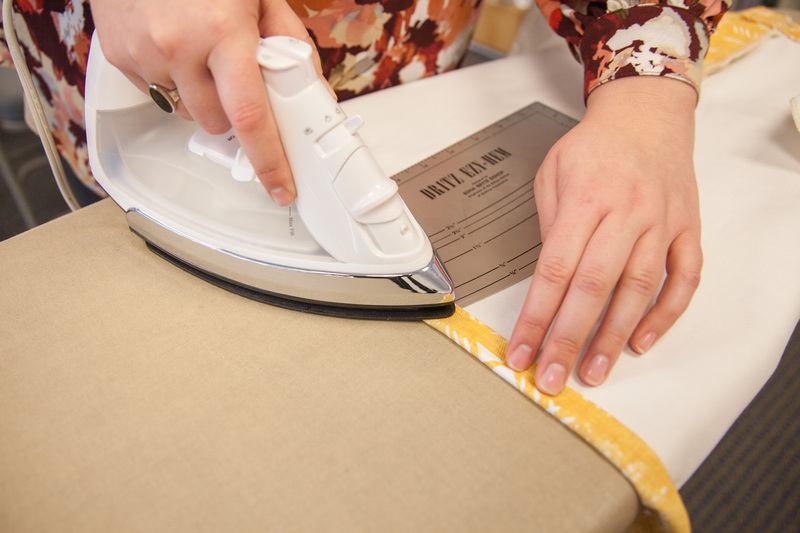 Here, MaryAshlyn is using a Dritz Ezy-Hem to create a perfect, even hem. 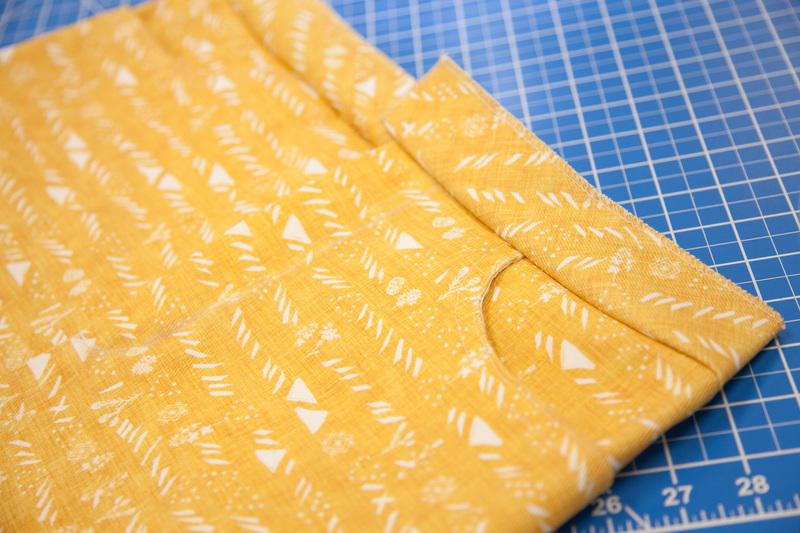 Fold the sides and bottom of pocket towards the wrong side of the fabric by ⅝” and press. Trim as needed, and repeat for the other back pocket. Finally, topstitch about ½” from the top edge of the back pocket. Line up the circles on the back pockets with the circles on the back skirt. Topstitch along the side and bottom edges about ⅜” from the folded edge to secure the pockets to the back skirt. Topstitch again just inside the side and bottom folded edges. Sew the two back pieces together along the center-back, being sure to match the yoke seams. 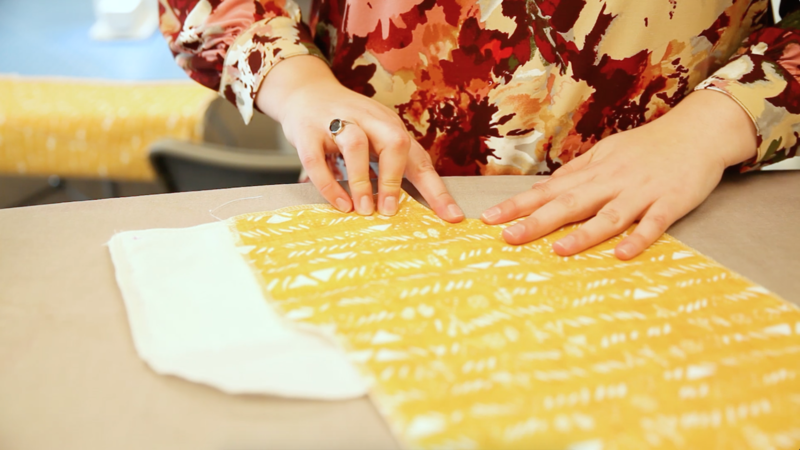 Sew along the center-back from top to bottom. Press seams to one side. 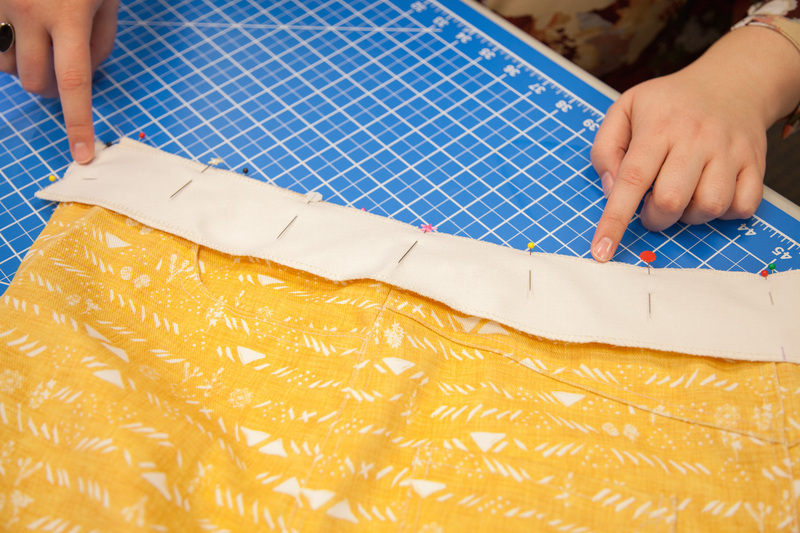 If you are sewing version 1, skip ahead to attaching the waistband to the skirt. If sewing Version 2 or 3, you will need to finish the back vent at this time. 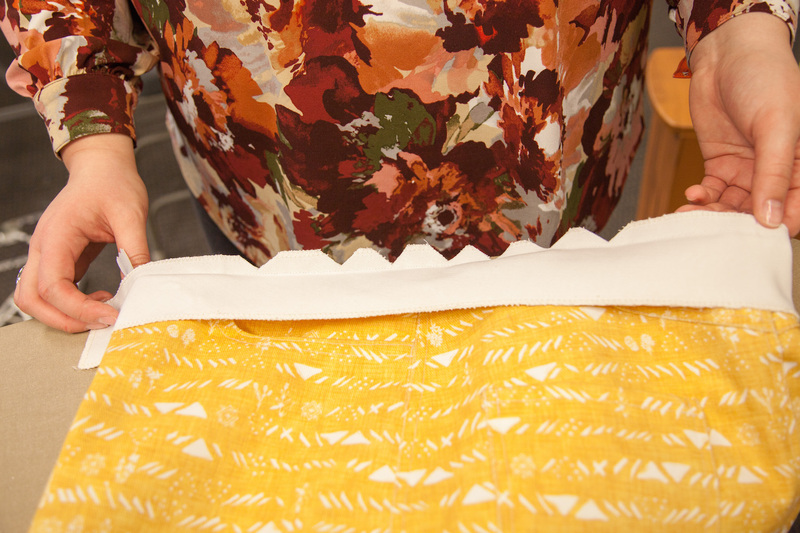 Fold and press the vent flaps over ½” toward the wrong side of the fabric. Then, fold over again and press another ⅝”. Secure by top-stitching ½” from the edge. 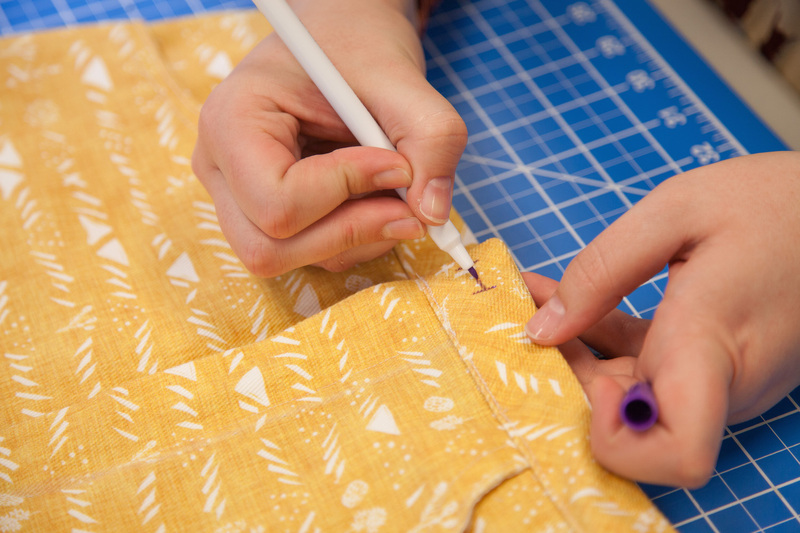 With right sides together, sew the side seams of the front and back skirt. Press side seams towards the back. 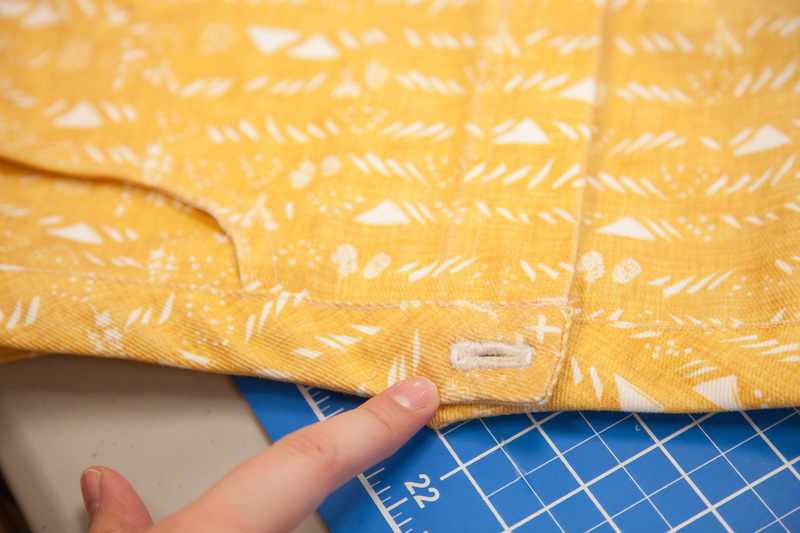 On the right side, top stitch through the seam allowance, ½” from the seam. 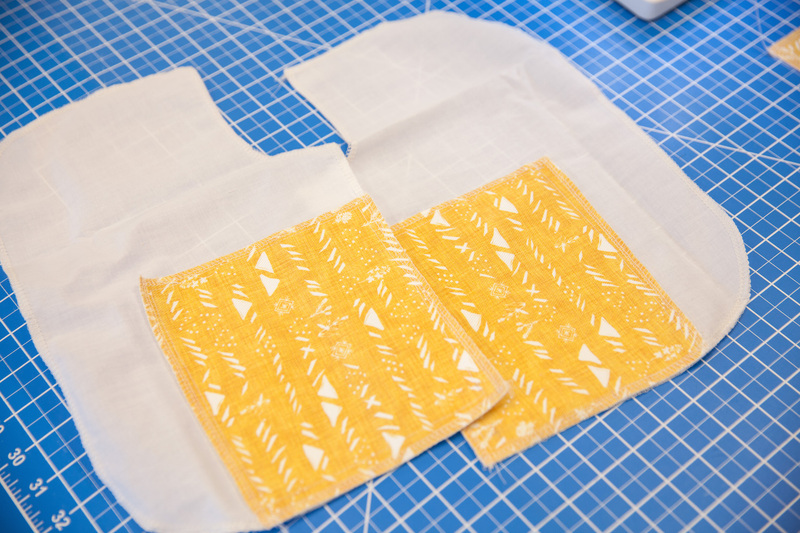 If you are using interfacing, fuse the interfacing to the wrong side of one waistband piece. 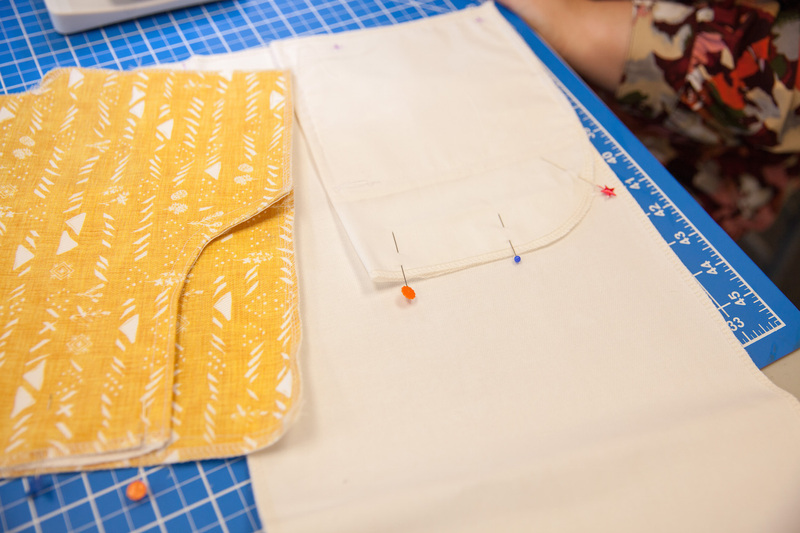 With right sides facing, pin the long side of the waistband to the skirt, matching the center back seam with the center back of the waistband and lining up the hemmed edges of the band with the right and left fly extensions accordingly. 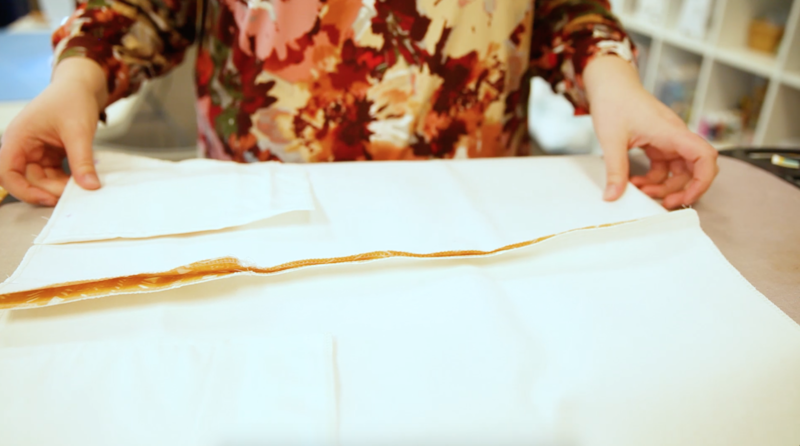 Sew all the way around, and then cut notches around the curve – this is because the waistband is curved, and the skirt isn’t. 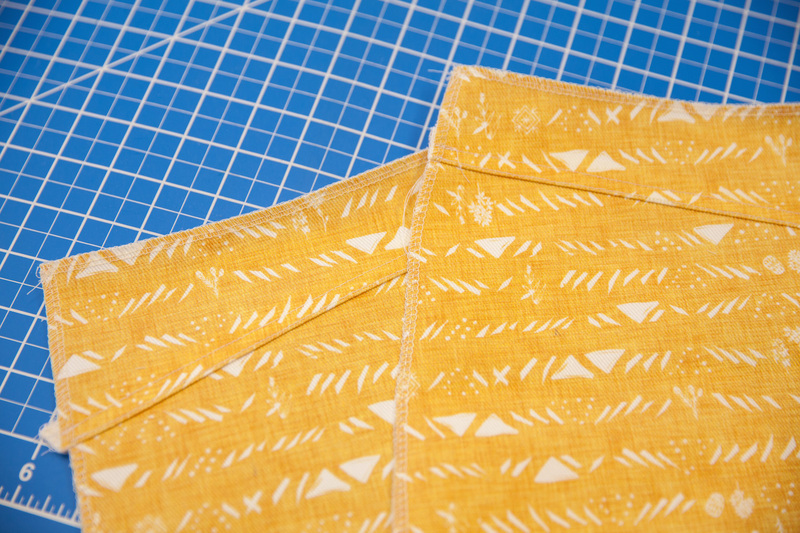 Now, press both the waistband and seam allowance up away from the skirt. Sew second waistband piece to the attached waistband along the top edge and center front edges. 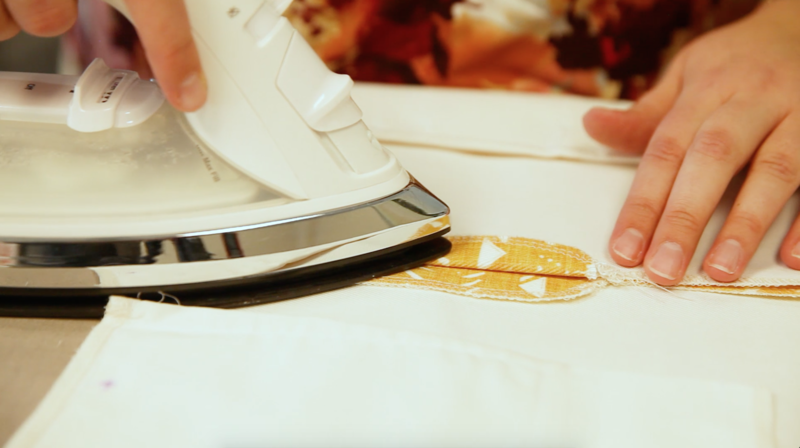 Trim the seams as needed, clipping the corners, and under stitch. 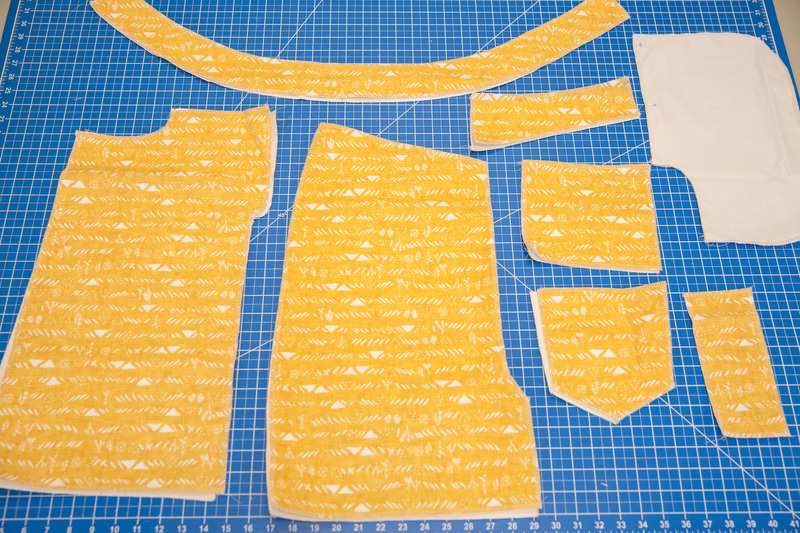 Turn the waistband pieces right-side out and press. 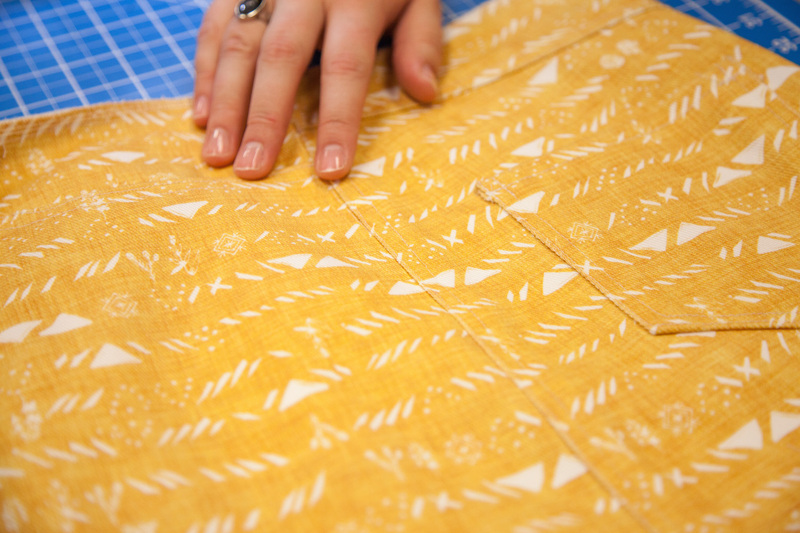 Fold the raw edge under and stitch the facing down on the inside of the skirt. 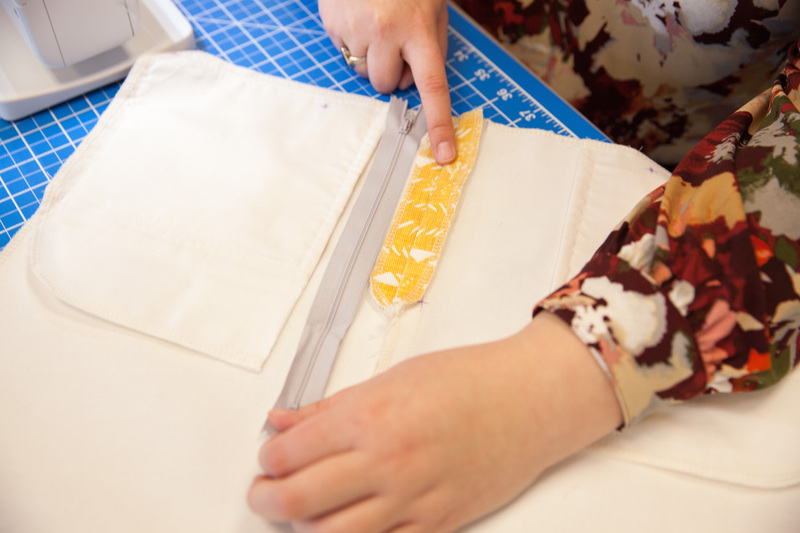 Following the marking for your size, sew a buttonhole on the overlapping side of the waistband. 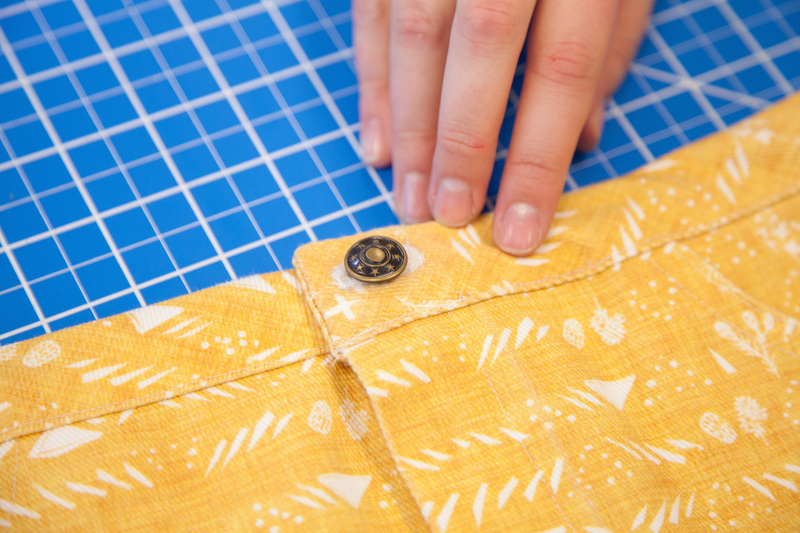 Then, sew a button to the underlying side of the waistband. I’m using a traditional denim button, which has to be hammered on. Turn the hem up ⅜” and press. Then, turn up another ⅝” and press. 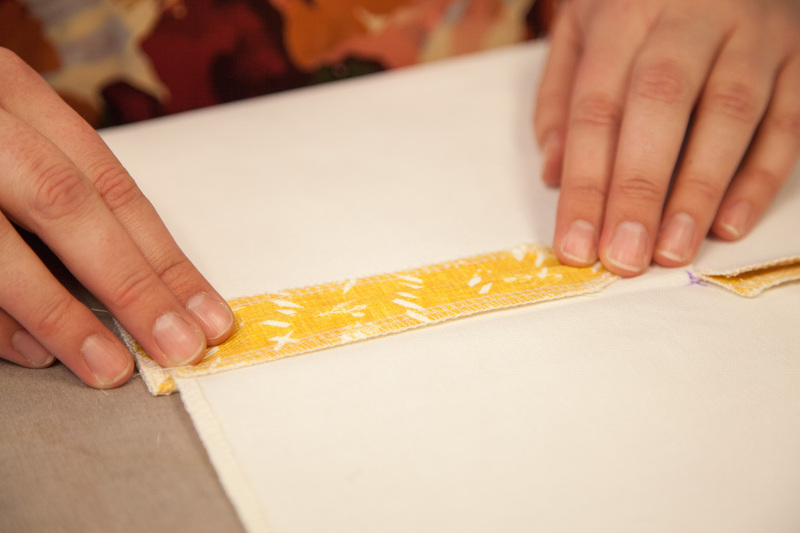 Stitch ½” from the initial fold to secure the hem. Don’t stop at just a denim skirt! 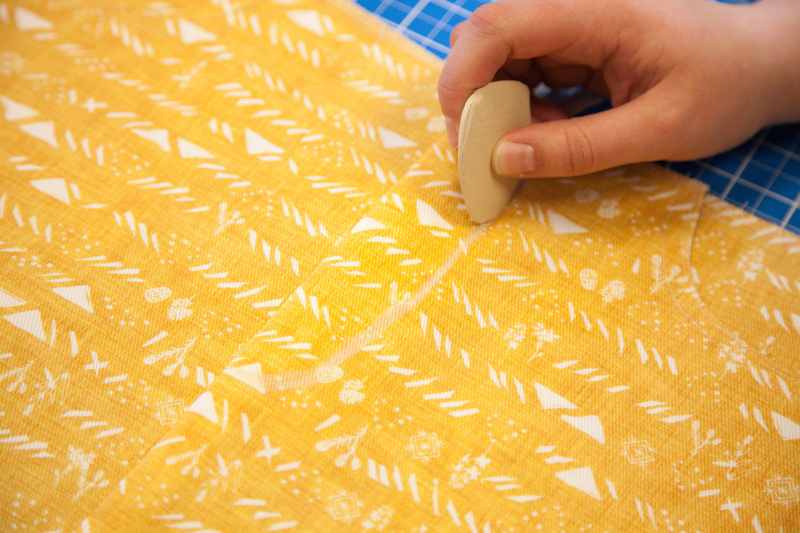 Complete your me-made wardrobe with a beginner-friendly boho blouse in Organic Sweet Pea Gauze and show us your OOTD by tagging your pictures with #spoonflower. I was excited about this pattern, but I think it is missing a piece of the skirt front that should be 3 C.
Do you have this piece of the pattern? We apologize for the unexpected inconvenience! The pattern has been updated. 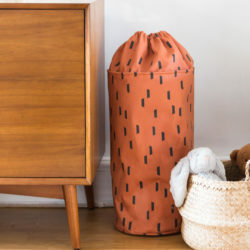 This is such a cute project and I can’t wait to get started. I downloaded the pattern, but I can’t see where the yardage requirements are listed for each size. Could you direct me? We can’t wait to see how your version turns out! You can view the yardage needed for each size and version here. We really appreciate your feedback. 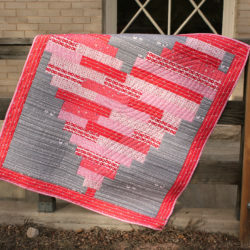 When we create and release more free patterns, we’ll be sure to keep this suggestion in mind! agree that larger women like skirts also! Thanks for the idea and the pattern. I made this today – it turned out very well. 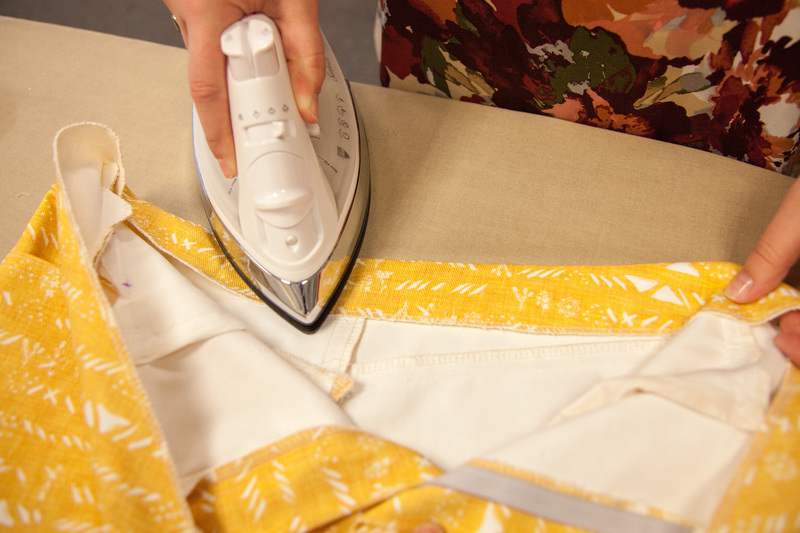 I used a printed linen – which was slightly lighter weight, but still worked. This was my first time sewing a fly zip, and inset pocket, as well as patch pockets. I had to make a few fitting adjustments to the yoke to reduce the waist size. The instructions and video were great – although I needed to check both as there were some instructions provided in one that weren\’t in the other. The only area that I struggled with was the fly – in particular the J-stitching – I didn\’t realise that I needed to pin the zip shield out of the way. Even when I redid it the second time I had to fiddle around and unpick some of the zip to be able to stitch the bottom of the J across the centre of the zip. I may not have folded back the RHS zip extension enough – the instructions were also not that clear here. We’d love to see your version of the denim skirt! 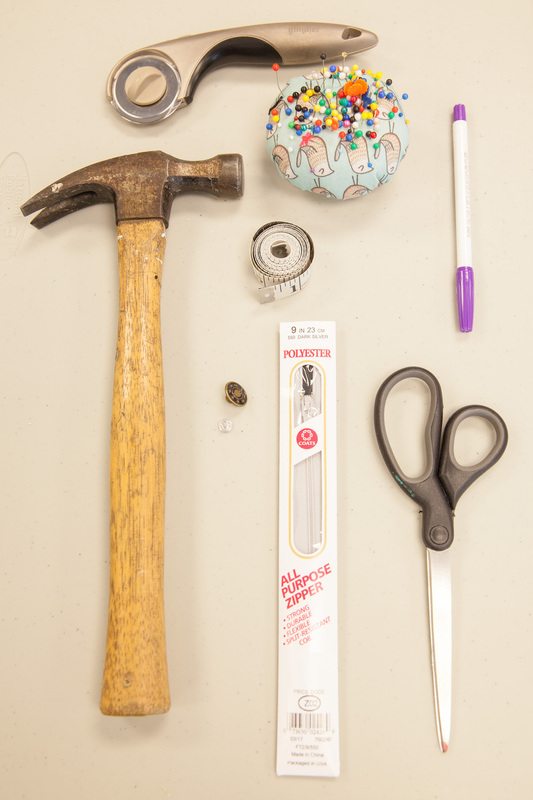 We’ve updated the instructions and apologize for any issues you ran into while sewing your skirt. We appreciate your feedback! Thanks so much for the pattern and instructions it’s been one of my best fitting skirts I own. Only tips are I made mine more a-line as I know that shape fits me better so maybe let people know that’s an option. Secondly get people to try on prior to attaching the waist band (I needed to put in a couple of darts) this way any adjustments can be made very easily and it it doesn’t sage at my back. Mind you maybe these are more advanced techniques so understand why it might be included. I made this– I was excited and followed the directions carefully and spent all the money on custom denim from Spoonflower. Turns out that the pattern does not account for a rear or for hips. So my skirt fits me at the hips, but not at the waist (too much room), or at the waist, but not at the hips (not enough room), depending on where I want the waist band to sit. Looking at the finished product, it’s very rectangular. Because the denim does not allow stretch, there is no way to squeeze into it. I’m disappointed that I spent so much time and money on a skirt I can’t wear. Perhaps you could publish some tips for how to adjust the hips/waist? I love how this skirt looks and I would love it even more if there was a version with a side or back zipper rather than a front fly zipper. Is there any way you could show us how to do this? I would really appreciate it. Thanks so much for the suggestion! 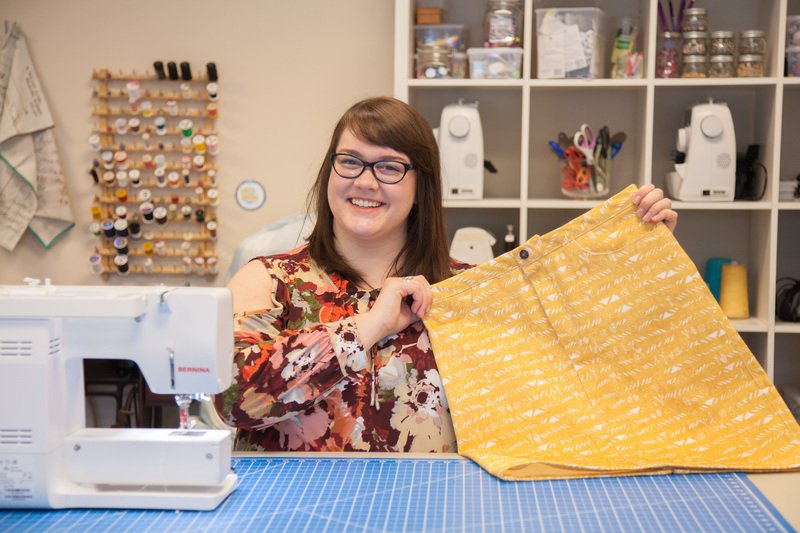 We don’t have plans to share a tutorial for adding a zipper but you could easily adapt instructions from another skirt pattern that does include a zipper.